30-year-old Grab engineer Brandon Gao was recently approached by a Seattle-based tech giant. Instead of jumping at the chance to relocate and work for this blue chip company, he turned them down immediately. 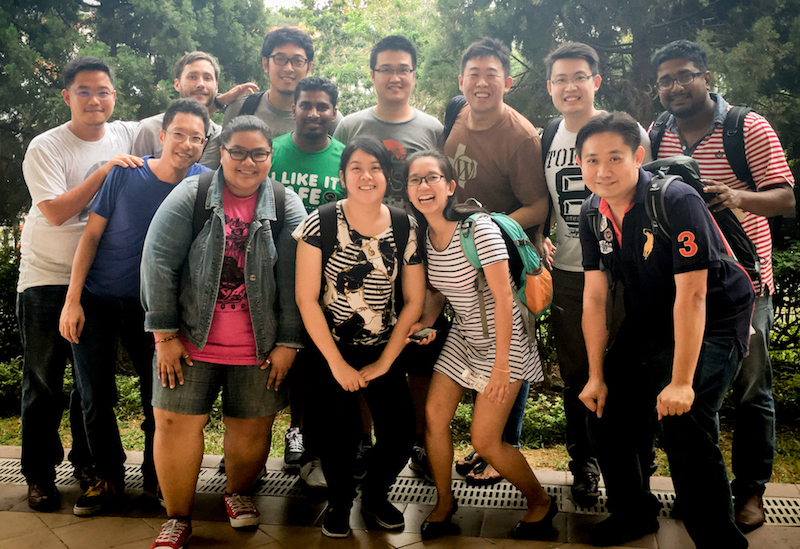 Having worked in Grab for about two years, he understands what makes this company special and recognises the huge impact he could still make within this unicorn start-up. And a huge impact he has made – Brandon was our first engineer in the User Trust team, and his vision and efforts contributed to developing Grab’s risk and fraud detection system. This detection system has since gone on to win awards. It leverages big data and machine learning to now enable the largest mobile transaction volume on any Southeast Asian consumer platform. We spoke to Brandon about his decision to stay at Grab and the reasons behind it. Grab: How long have you worked here and why did you join? Brandon: I joined Grab because the problems we are solving are real world problems that I identify with. I was attracted to the sheer opportunity to learn and grow. I joined in May 2015 and it was a very interesting time to join because we [Grab] had just started the journey of migrating backend services from Node.js and Ruby to Golang. I contributed to some of these core libraries and I converted a few services from Node.js to Golang. One of my most memorable projects was for our data service that allows direct connections with all our drivers out in the field. It all started on a weekend – a brainwave where I was contemplating if I could just rewrite our code in Golang. I managed to build the prototype that very weekend and presented it to my team the following Monday. They absolutely loved it, helped complete the code and we launched it together as one team! This started as a small and simple weekend project, but it is now pivotal to helping us connect our servers directly with all 580,000 drivers across the region (as of January 2017). Grab: You were recently approached by a tech giant to join their team in the US. Why did you choose to stay with Grab? Brandon: I know that the impact I have at Grab is much bigger than what I can do in the bigger global tech companies. We are still in our early rapid growth stage and there are so many opportunities to grow. Every week is an exciting time at Grab. More importantly, I really enjoy working with my team members! Grab: What are the three things that you love most about your role at Grab? Brandon: Grab has a unique position in Southeast Asia. As the region’s leading ride-hailing company, we have the opportunity to make life-changing positive experiences in how people commute, live, and pay. To me, this is really exciting and worth all our hard work. Secondly, the amazing talent I get to work with every day! Grab is willing to help our engineers grow and provides us with the resources that we need. Enough said! Ultimately, I really enjoy my role at Grab because I am constantly exposed to new challenges where I actively contribute to its solutions – I imagine this opportunity will be hard to come by at a large, structured and process-heavy company. I take joy in building programs and writing code from scratch. This keeps me motivated and I look forward to continue making a difference.